Dr. Karpinski grew up in Brecksville, Ohio and attended Miami University for her pre-medical training. During her time at Miami University, she studied Zoology and Neuroscience and received multiple awards for her research in the field of Neurobiology. Dr. Karpinski returned to Northeast Ohio to attend medical school at Case Western Reserve University School of Medicine. Her interest in Dermatology quickly became her passion, and she delved into research focusing on new and innovative techniques for pre-cancer and skin cancer treatment. Dr. Karpinski then completed her Transitional Medicine/Internal Medicine Internship at Summa Akron City Hospital and her Dermatology Residency at University Hospitals of Cleveland. During her Dermatology Residency, she continued her research endeavors with a hospital-wide project that helped to improve the care of patients with chronic skin conditions of the lower legs. 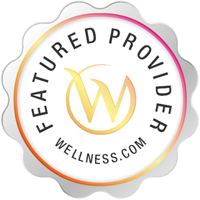 Dr. Karpinski trained with several leaders in the fields of medical, aesthetic, and surgical Dermatology. She sees both adult and pediatric patients for a wide variety of skin conditions. 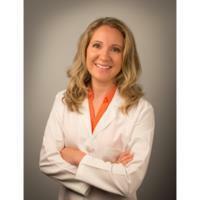 Services Lauren Karpinski provides dermatology services in Medina, OH. A Dermatologist is trained in skin care. A dermatologist is concerned with maintaining healthy skin, nails and hair as well as diagnosing and treating skin conditions and diseases. They also correct disfigurements, blemishes and scars. You might see a dermatologist for acne, or see a dermatologist for dermatitis. Please call Lauren Karpinski at (833) 279-7546 to schedule an appointment in Medina, OH or call for more information.